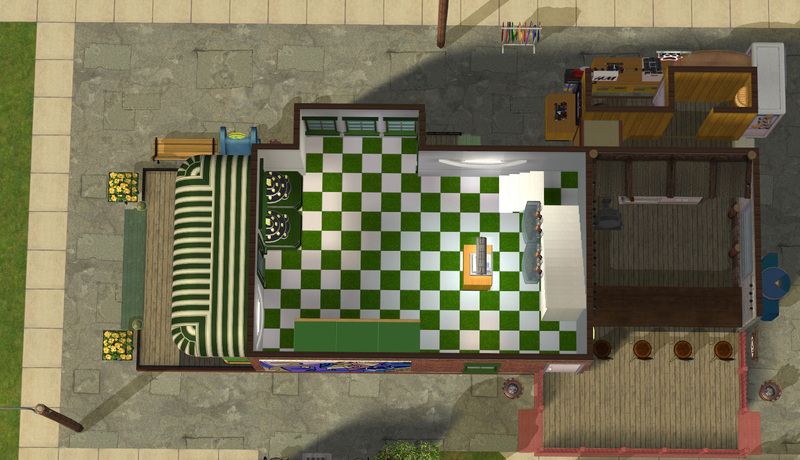 Here's an All-in-One Corner Store for my apocalypse let's play. 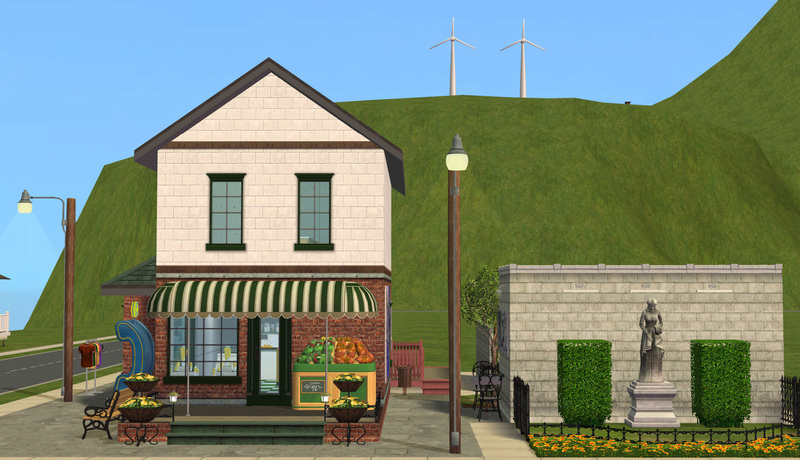 The lot is heavily inspired by the All-in-One Shack and the Backlane lots by Plasticbox - I pretty much just thumbed through all of their commercial lots and duplicated bits and pieces for my lot. 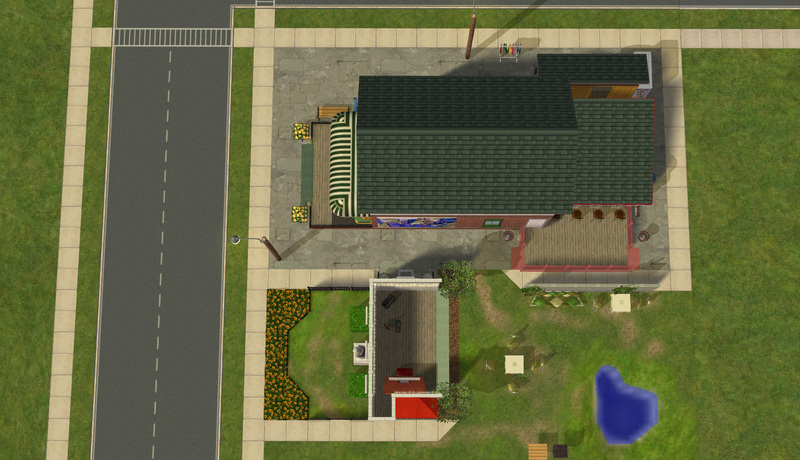 •The lot plays and routes well and really comes to life with a crowd of sims. 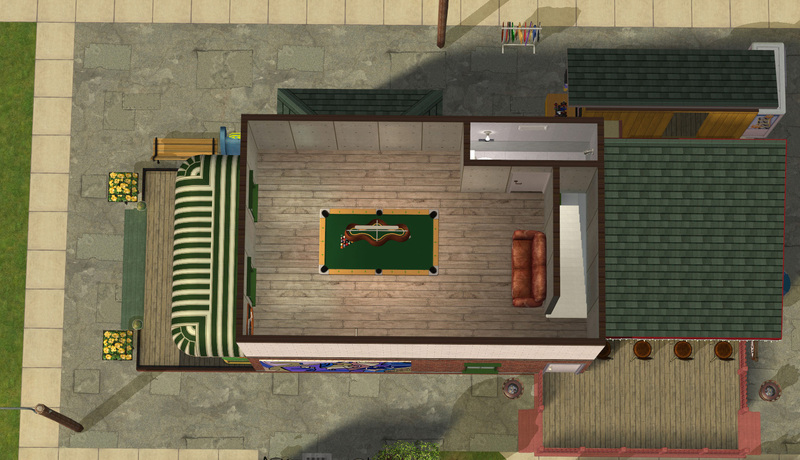 There's a few sticky spots but even completely hands off the sims figure it out. 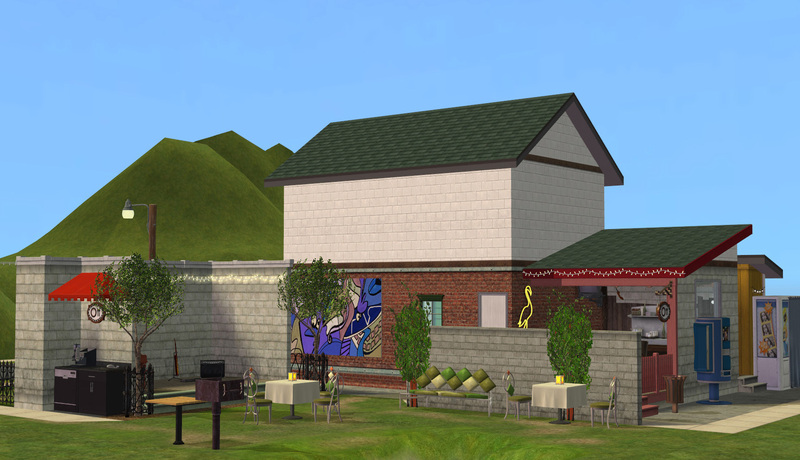 •The front & side street are both accessible so the lot needs to be placed on a left corner. •There's duplicate pet collar & perfume displays that are placeholders for Far East souvenirs and jewelry. 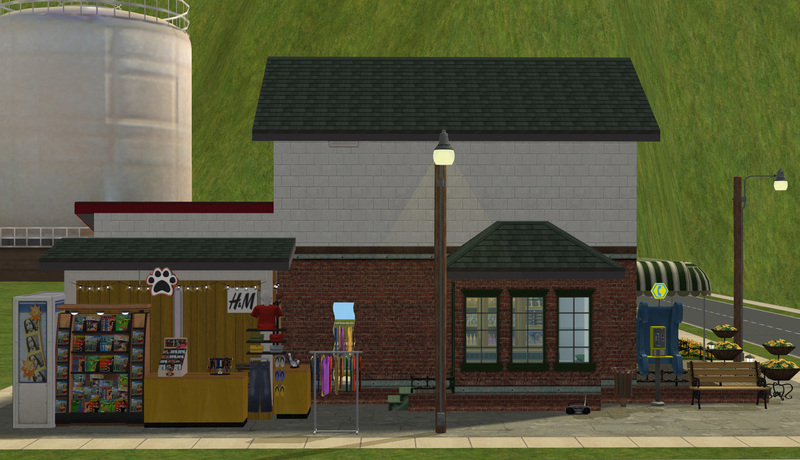 If you want your sims to be able to buy those pick up Vacation Souvenirs Buyable Everywhere and swap them out. •The small fenced in park is where Ambrose routes to play catch but it's also included as a temporary graveyard if need be. This is included in the lot description so if you place this and are looking for something specific before you go scroll through. 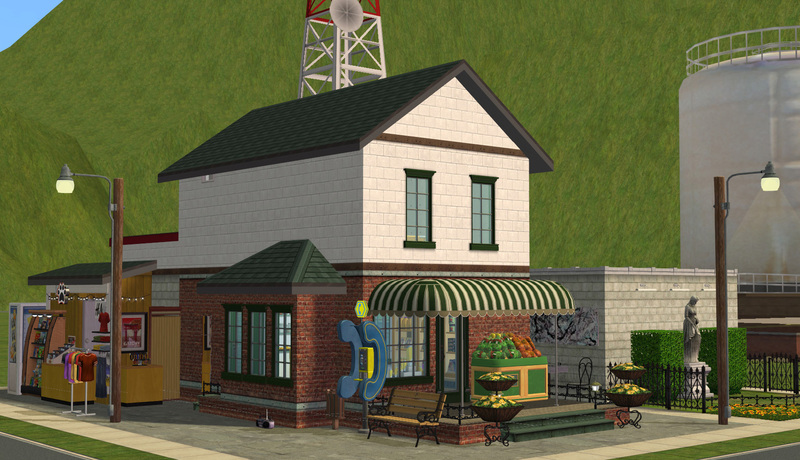 The lot was built using Any Game Starter including all packs up to Bon Voyage, Grid Adjuster, Lot Adjuster and was compressed & cleaned of Sim references.